The New York Rangers defeated the New Jersey Devils, 4-3 in overtime. The fact that they defeated their division rivals in New Jersey was big, but the way they did it was even bigger. After taking a 1-0 lead, the Devils countered with 3 straight goals. All 3 goals were scored on the power play as the Rangers went 3-5 on the penalty kill. Even though the Rangers struggled stopping the Devils PP unit, they finally succeeded on their own power play. They went 2-3 on the power play with goals from Chris Kreider & Chris Mueller. This should help rejuvenate the power play as they have struggled mightily to get it going in the first six games. Rick Nash continued his dominance with his 8th goal of the season to tie the game at three with 5:28 to go in regulation. The game would head into overtime where an unlikely hero made his presence felt. 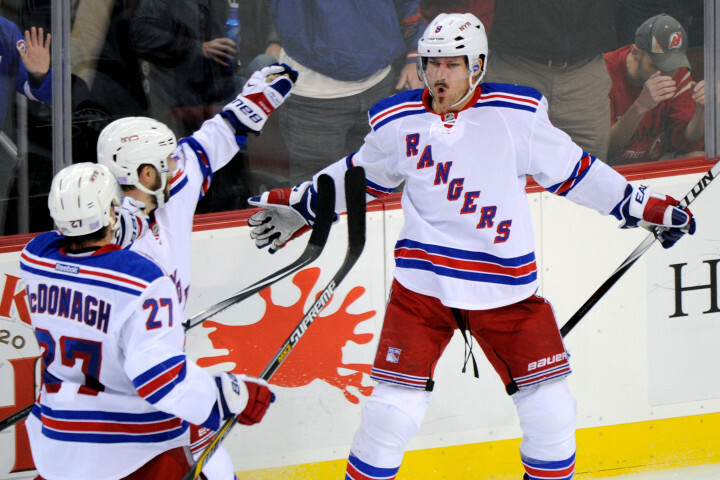 Kevin Klein scored the game-winning goal thanks to a beautiful pass by Chris Kreider. Lundqvist words are true. For a team that has struggled to forge a new identity, it looks like the Rangers are coming into their own during this 3 game winning streak. There are a lot of new pieces on this team and it will take a while for head coach Alain Vigneault to make these players a cohesive unit. This team looks to be on the right track and if they can sustain the next month of games, they should get back Derek Stepan and Dan Boyle, who should provide a huge boost to the team.